After we discuss a lot of articles about automotive things, maybe there is nothing wrong if on this occasion we talk about something different but still in the feel of the automotive. 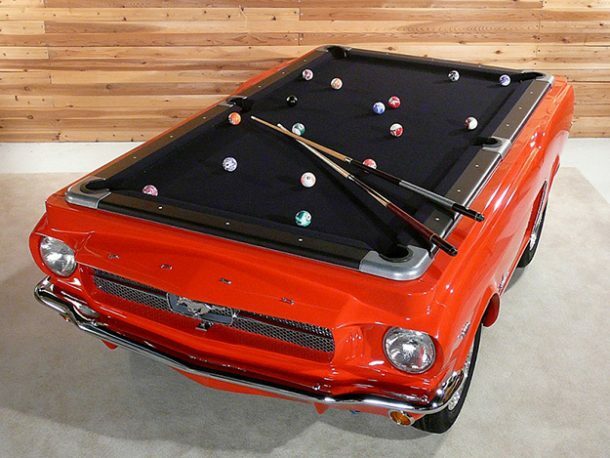 Many ways to thicken the feel of the automotive at your home or work space. 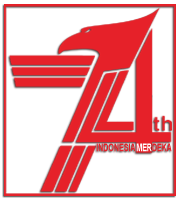 The most common is to put the racing memorabilia or miniature of your favorite vehicle brands, etc. But if that way is still lacking, maybe it's time for you to adopt the automotive nuanced furnitures. These way has been tried to be offered by the Polish manufacturer of luxury furniture named Design Epicentrum. 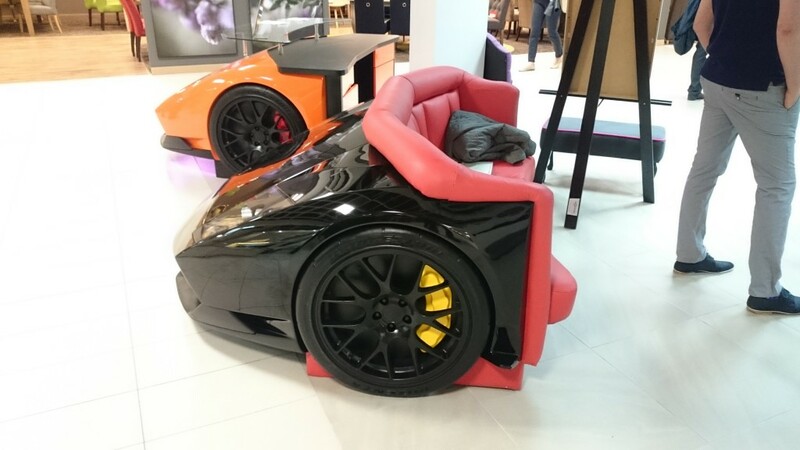 Through some of their products, the Poznan-based company gives you a chance to have the Lamborghini cars pieces for your favorite space at home. If already smitten after seeing the picture in the brochure and ordered it, then the consumers still have to be patient. Because as quoted from Autoevolution, Design Epicentrum takes about four months to complete one unit of these sofa. For specification, the sofa with Aventador fascia shape is made using fiberglass material and medium-density fiberboard on the back. For the color, obviously can be adjusted to your demand as the customer. To complement the sofa set above, Design Epicentrum also provides a table with a similar theme. 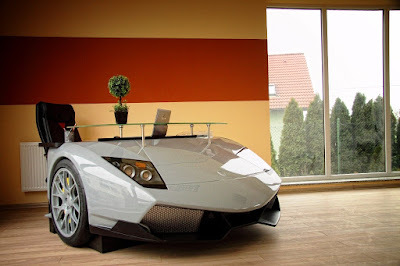 But, these table takes the design of another Lamborghini model ie Murcielago. 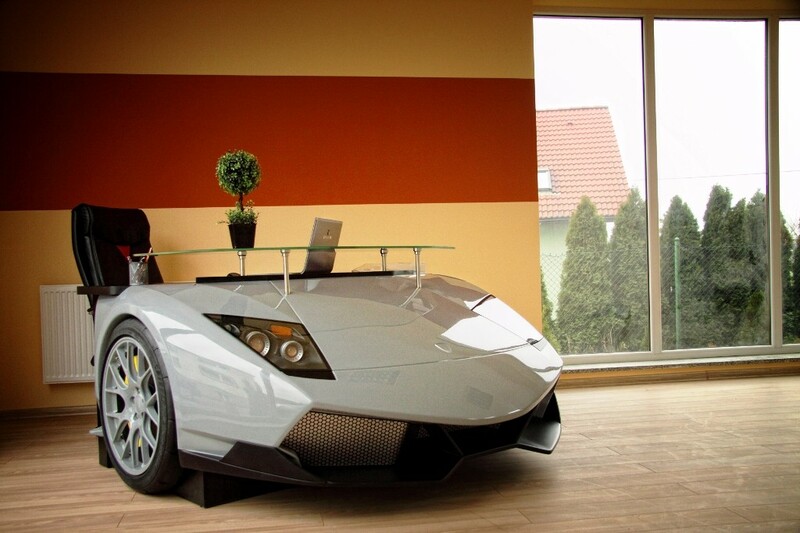 Keep in mind, the furnitures in question above was not the original Lambo parts but only the form that esembles it. 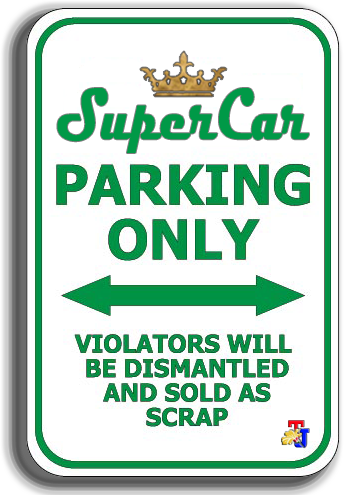 But if you want the furniture made from the original car components, so you can check the next part below. Unlike the sofas and tables as mentioned earlier, these lamp set is the original component that taken of the Infiniti RedBull racing team cars that won the title of the Winning Constructor four times. 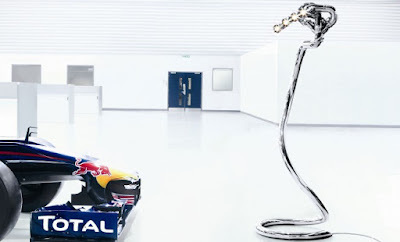 These are the original parts was ever used on Mark Webber or Sebastien Vettel cars on the Formula-1 racing track. 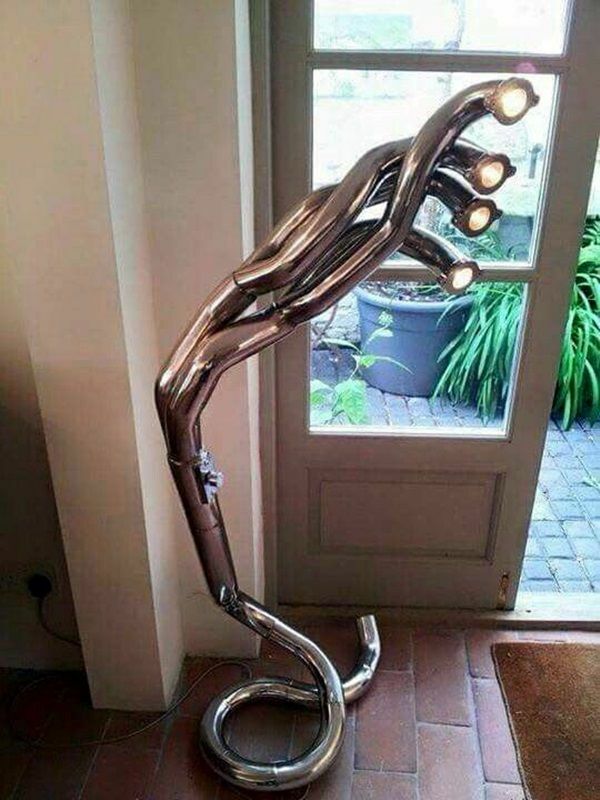 To get these exhaust, the consumers can begin to contact Racing Gold, the company that has a specialization to "collect" the historical car components that taken of the racecourse. 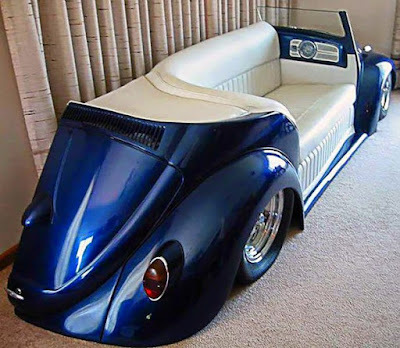 If You want to see more models of furniture made from recycled or unused vehicle parts, please feel free to push here. Hopefully this will be an inspiration for you to beautify your favorite room at home with a thick automotive nuance.